Lapis orgone disc by Natural Agate is 35-45mm in size. It weighs 10-12gm. 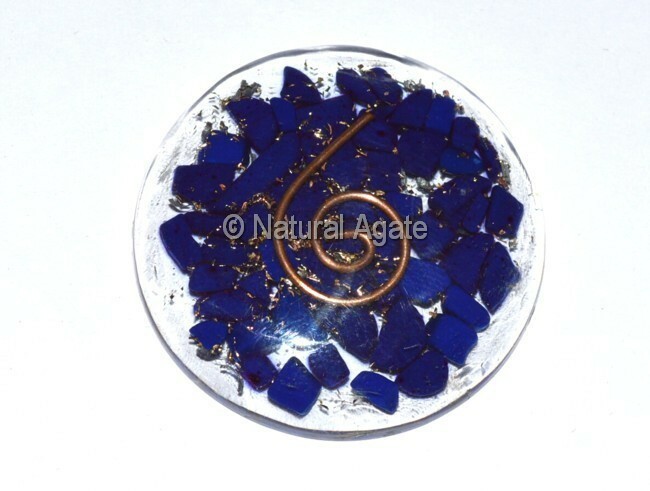 This disc cabochon will improve your communication skill and help you to be true to yourself.